Yesterday, I bought a car and drove to see Kelsey because it was cheaper than the train. The story was featured in Daily Mail, Mirror, The Sun, Metro, Unilad and more. 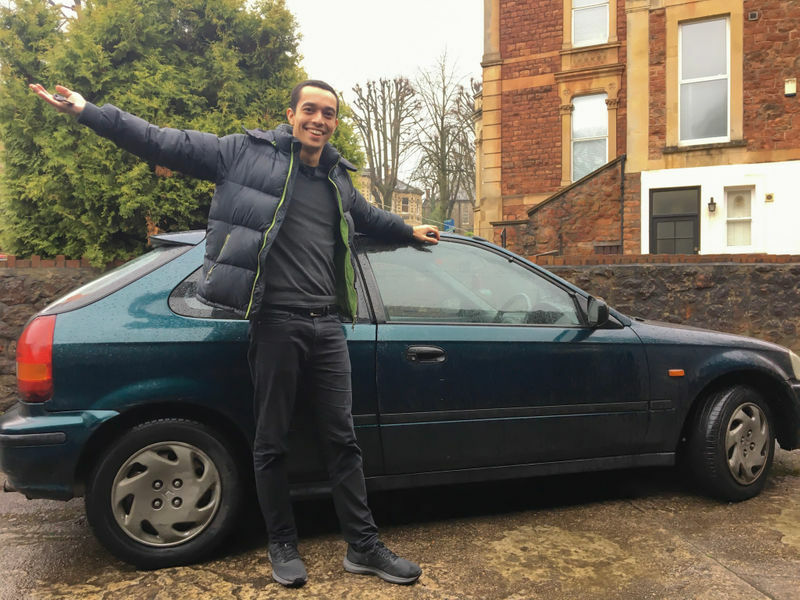 Tom bought a 1997 Honda Civic for £80 and drove to Bristol for less than the price of one train ticket. If you're a member of our money saving community, LatestDeals.co.uk, you'll probably know I live in London and Kelsey, your tech whizz, lives in Bristol. Despite starting the website together (along with Deepak) and speaking every day for almost two years, I'd never actually been to his house. When Kelsey spotted a post on Reddit from a member called Stittastutta complaining about how expensive trains between London and Bristol are, I shared his pain. A return ticket from London to Bristol costs £218.10 (peak time). First, I put a post up on our community Facebook Group asking fellow deal hunters about cheap cars and where they got them. 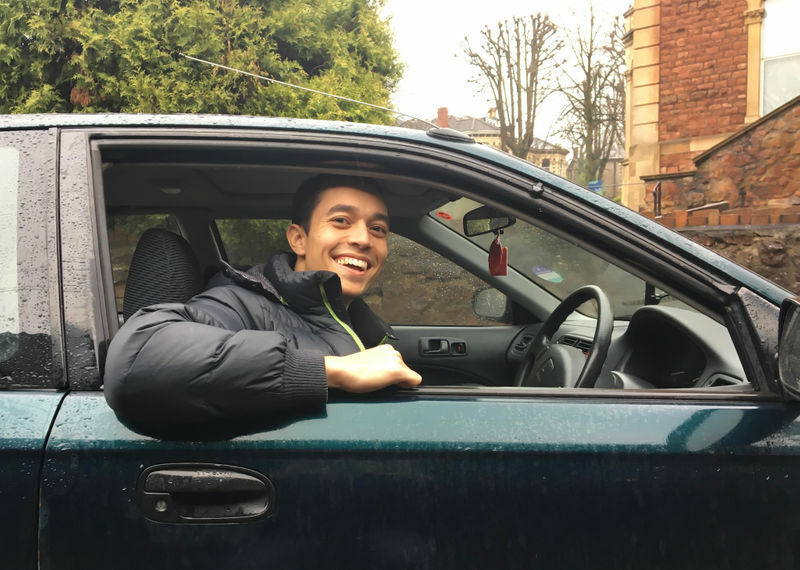 Tom bought the car for just one trip, because it was cheaper than the train. The second hand car cost just £80. Road tax was £81.38, insurance for one day £20.43 and petrol £25. A total of £206.81. Buying a car is still expensive - can't you just go off peak? Yes. Buying a car for one trip was still expensive. It was stupid. But not as stupid as spending even more on just one train ticket. When I got back from Bristol, I still had the car. I'll probably sell it on again and may even make a profit from it! If you really want to save money, buy an off-peak train ticket in advance, and use a railcard. You can also get a National Express coach and there are plenty of deals for that here. 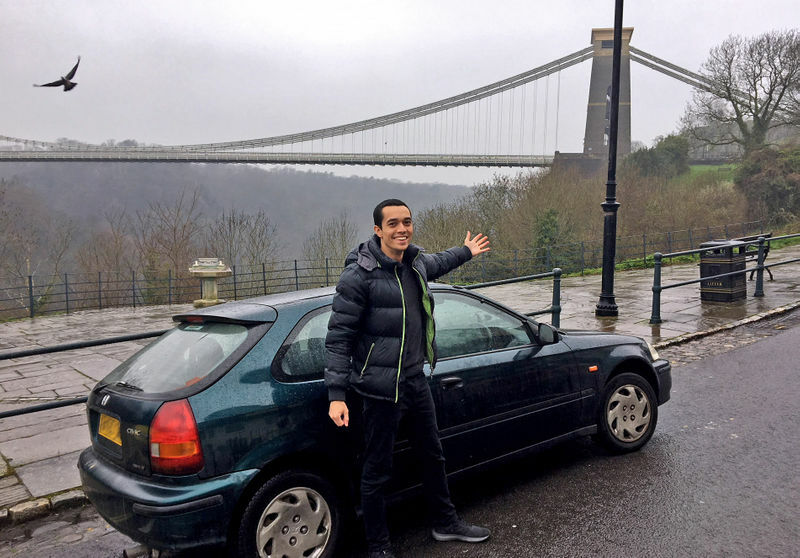 The point of buying a car and driving to Bristol and back was to show how crazy train ticket prices have become. Do I recommend you to do this? For just one trip? No. It was a pain the arse! The M25 was chocca-block, the M4 had accidents and roadworks. The train takes 1hr 43 minutes whereas driving took 3hrs 30 minutes. For more than one trip? It depends. The Honda Civic was a joy to drive. The suspension was soft and the gear box as smooth as anything I had experienced. For £80 I was very surprised. All that metal, rubber, engineering and electronics for less than a Superdry hoodie? Hell yeah! But as anyone experienced with cars knows, costs very quickly rack up. £160+ per year of road tax. £500 per year of MOT stuff. Petrol, insurance and more. Which supermarket has the best loyalty program? Yep, hiring a car, going off-peak, booking in advance, getting the coach... many options were cheaper! I wanted to raise awareness of the obscene prices being charged for peak time trains. Did you find any bargains whilst you was visiting? Haha I visited Kelsey, fellow LD’er, and he treated me to a burger at a very nice place.... I’ve forgotten the name though, Kelsey, what was it? Burger Town? Really interesting! I remember a few years back Top Gear bought some cars and went to Manchester! What insurer did you insure the car with?